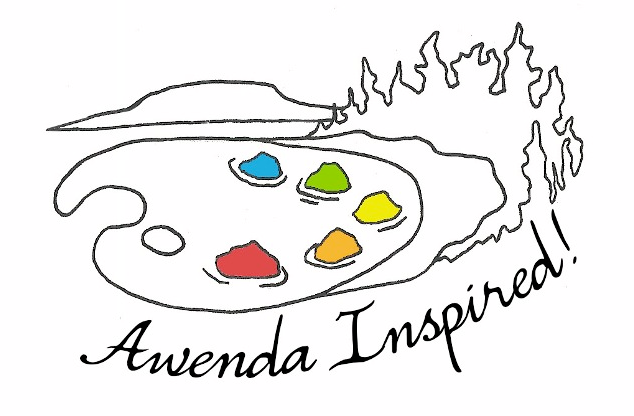 If you hike along any of Awenda’s beautiful trails after a rainy day, you are very likely to come across several different species of fungi. 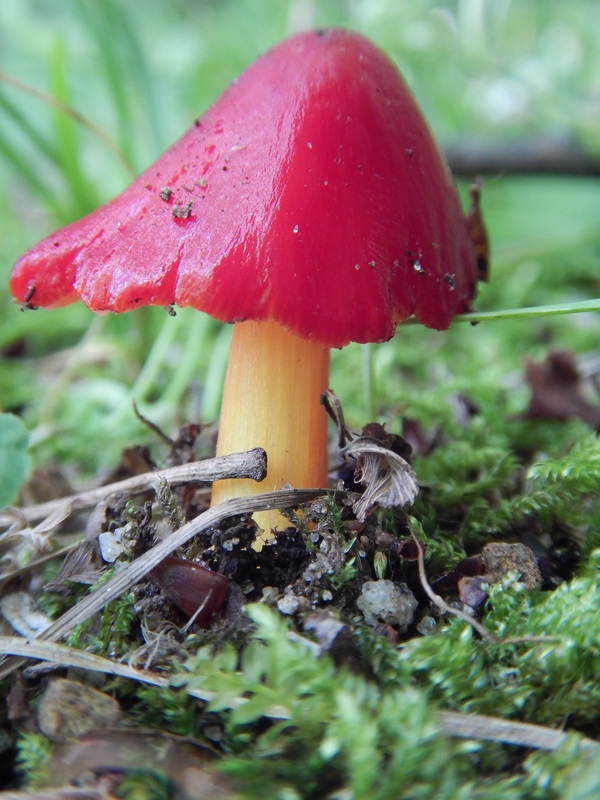 There are close to 200 different species of fungi found in the park! However, we only see a very small part of an individual fungus sitting on the forest floor. The mushrooms, polypores, corals and puffballs you can see are analogous to “an apple on a tree.” These above ground structures contain the spores, which are similar to plant seeds that can be spread by various means to extend the range of a fungus. From the spores sprout hyphae, which are the tiny hair-like cells of fungi. 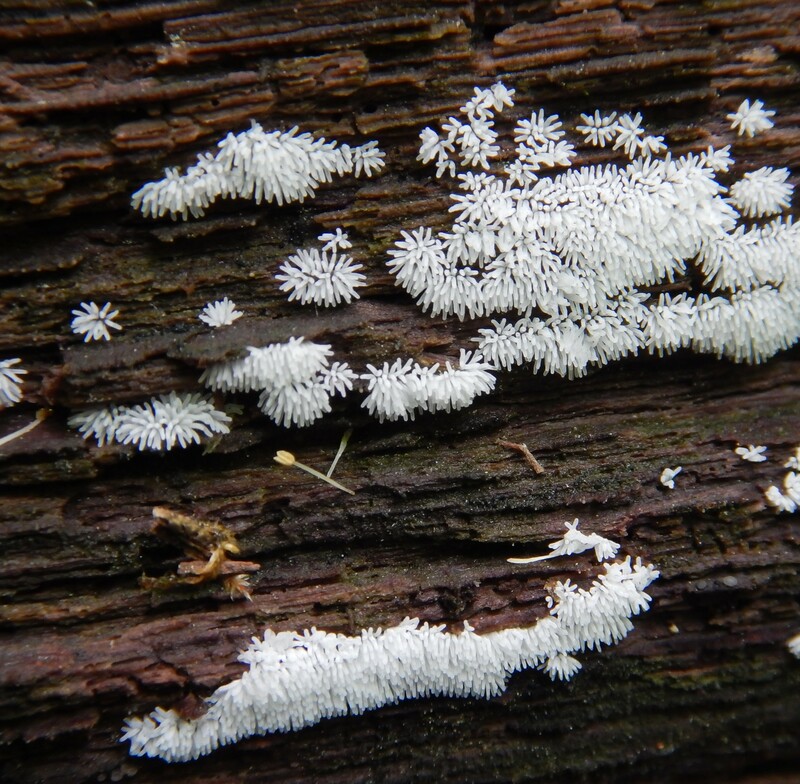 These combine to form thicker white strands called mycelium, which make up the majority of a fungus, although they are usually hidden the soil and rotting logs. Mycelia actually compose approximately 90% of the living matter in the soil in a forest! A single organism can cover up to hundreds of kilometres with their mycelium, sprouting mushrooms across an entire forest. Mushrooms commonly sprout at the side of a trail because the mycelia below are being disturbed by hikers. The fungi react by reproducing and creating mushrooms in order to spread the spores and move to different areas. Fungi play many vital roles in the forest ecosystem right here in Awenda. From decomposing organic matter to helping trees grow, fungi can be known as the unsung heroes of the forest. They are also a very nutritious food source for many different animals including deer, chipmunks, slugs and all sorts of insects. 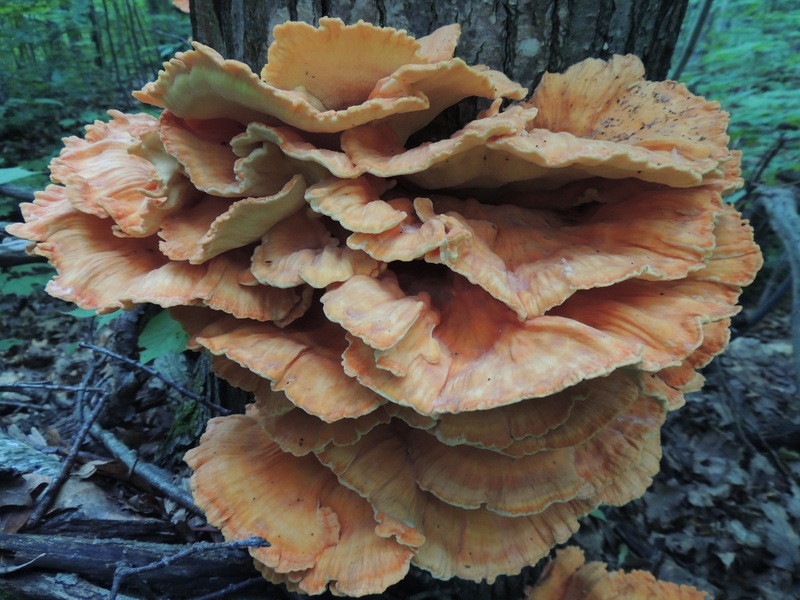 To learn more about the diversity of fungi in Awenda or the important roles they play, check out our posting boards and attend a Guided Fungi Hike with a park naturalist. You can also take a look at the Park Store for a Fungi Checklist and Fungi of Ontario poster composed solely of pictures taken in Awenda!